Understand, predict and avoid any issue that could harm your production. Server Genius gives you facts and data about your server, applications and users. Install it in 30 seconds on your server and get a clear understanding of its usage and performance. What more do you need? Monitor your server and website on one interface right now! 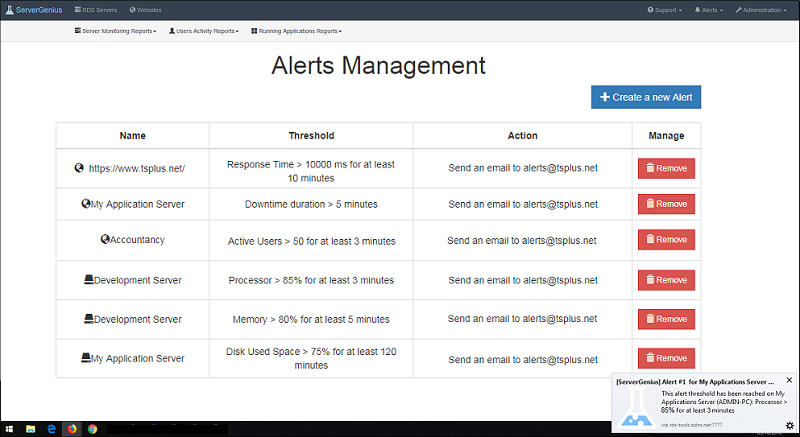 Track changes, resources usage and events with real-time email and web alerts: don't wait for your users to complain!